PML-Q and Pakistan Tehreek-i-Insaf (PTI) announced on Sunday to contest the upcoming Senate elections together. 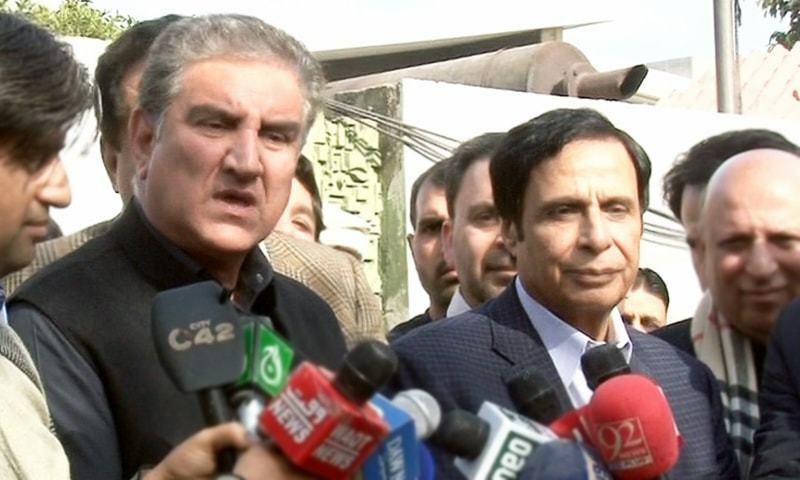 Speaking to the media after a meeting in Lahore, PTI’s Shah Mahmood Qureshi and PML-Q’s Pervaiz Elahi announced to work together for the elections and form a committee to ensure cooperation for the purpose. “It has been decided that we will contest the Senate election together,” former Punjab chief minister Elahi announced. Meanwhile, PML-Q chief Chaudhry Shujaat Hussain contacted PPP Co-Chairman Asif Ali Zardari over a telephone to discuss Senate elections and other political matters.